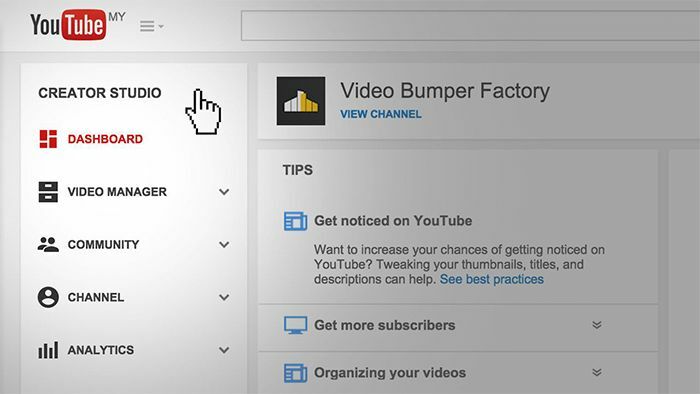 So you have your video bumper and now you are wondering how to add it to your YouTube channel. Does it mean I have to pull down all my already uploaded videos, edit-in video bumper I want to use and then re-upload it back to YouTube? Not necessarily. YouTube has a function not a lot of people knows about and it’s all about adding video bumper in front of all your already uploaded videos. It has a certain limits but it does it’s job pretty well. And guess what? You don’t need to posses any editing skills to do so. And actually it’s so simple you can do so in six simple steps. One of the certain limits I mentioned above is the fact that duration of the video bumper you can add via YouTube HAS TO BE 3 SECONDS or shorter. No single second longer. Reason for this is that YouTube doesn’t want people to abuse this function for self-advertisement. 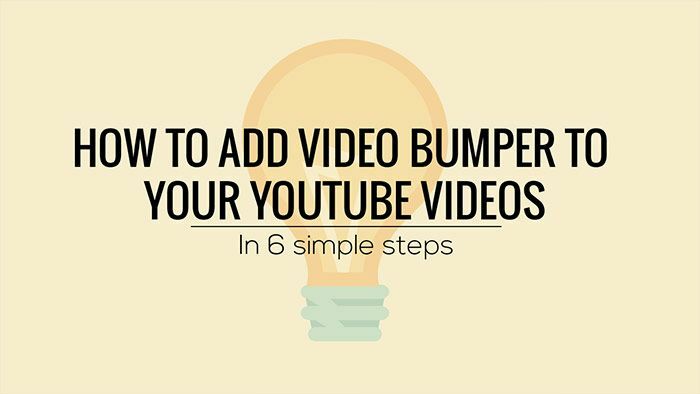 Which means that before you are able to upload and use your bumper video on YouTube, you have to make sure it’s 3 seconds long. In other case you won’t be able use it. 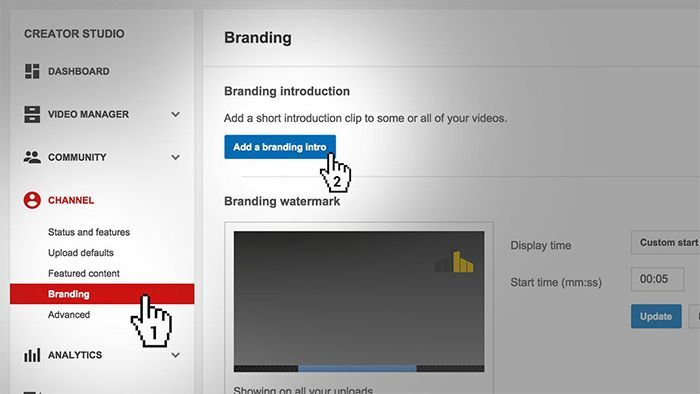 Log-in to your YouTube channel, Upload your video (button in top-right corner) and select Unlisted. You are setting Unlisted because you don’t want people to see your bumper among other videos on your channel. Purpose of bumper is only to show up in front of the other videos. But if you don’t mind that your bumper is visible to people who visit your channel, carry on and leave the setting as Public. Only make sure it’s NOT set to Private – that would mean that only people log to your channel (usually You) can see it. TIP: You can go straight through all tutorial image gallery by clicking on one of them! 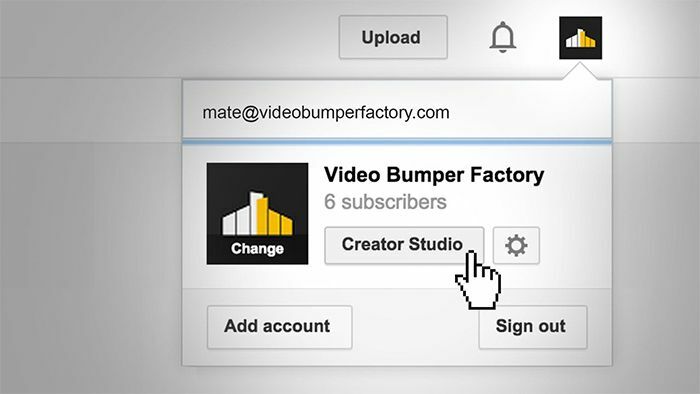 After video upload is done, click on your YouTube profile picture in upper-right corner and go to Creator Studio. This will open window with Dashboard of Creator Studio where you can do a lot of fancy stuffs and see statistics of all your videos. 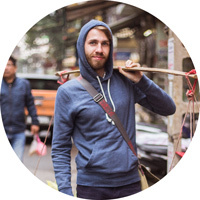 But for now we will focus only on adding of your bumper video. 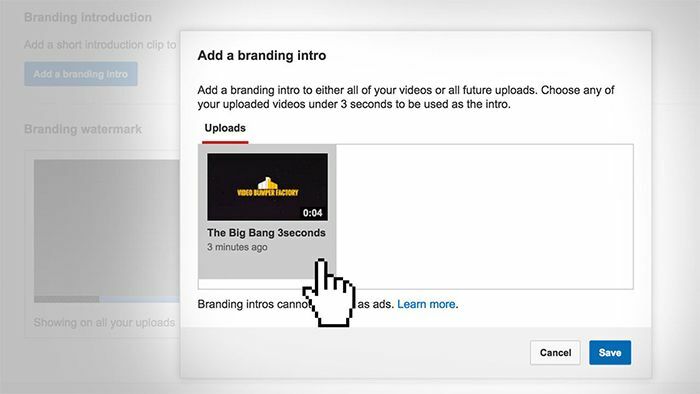 This will open the window with options of all videos from your channel eligible for video bumper. If you have followed all previous steps you should now see your 3 second video bumper here. Note: If you don’t see your video as a option here, it’s probably because it doesn’t fulfil 3 seconds limit. 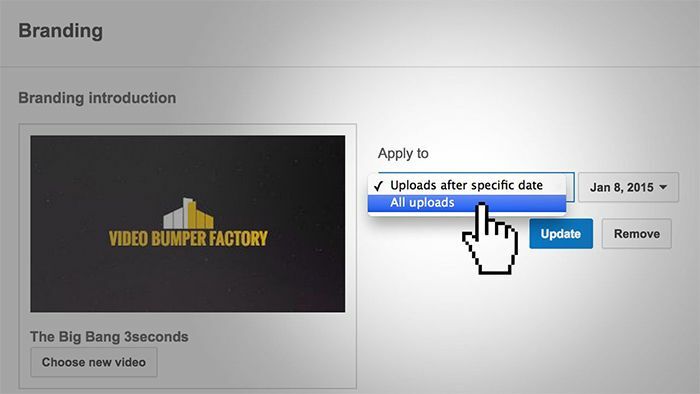 In the last step you can set if you want to use your bumper in front of all your videos or only to those uploaded after specific date. That’s it! Was this tutorial helpful? Share it with your friends! 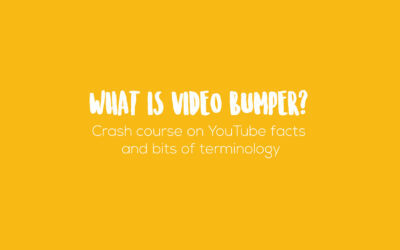 What is YouTube video bumper?